This Information Sheet provides information on Topic 1: Defining adaptation objectives and activities. Dividing a project into these phases makes it easier to structure, manage and control project processes. An objective is a statement of the desired result that meets the criteria of being Specific, Measurable, Achievable, Relevant and Timebound. S Specific: This refers to them being simple, sensible and significant. For example, do they indicate who the beneficiaries/target audience is, the area/location and what must be achieved? Thirty five (35) technical staff from the structural engineering unit, urban and rural infrastructure planning units, local authorities, district planning units, Ministry of development Planning, and teaching staff from technical colleges and vocational training institutes trained on climate-resilient construction by the end of 2017. M Measurable: This refers to objectives being meaningful and motivating as well as including the metrics (i.e. targets/numbers). Thirty five (35) technical staff from the structural engineering unit, urban and rural infrastructure planning units, local authorities, district planning units, Ministry of Development Planning, and teaching staff from technical colleges and vocational training institutes trained on climate-resilient construction by the end of 2017. A Achievable: Is about answering the question ‘Can it be done?’ (within the timeframe, with the resources, with the stakeholders, etc.?). This is not to avoid ‘difficult’ projects but to ensure that what is planned can be achieved. The A also is about it being agreed to. It is important that stakeholders agree to the process and you engage with them. Thirty five (35) technical staff from the structural engineering unit, urban and rural infrastructure planning units, local authorities, district planning units, Ministry of Development Planning, and teaching staff from technical colleges and vocational training institutes trained on climate-resilient construction by the end of 2017. R Relevant: This is about ensuring that was is planned is realistic and resourced and is in line with existing priorities. This objective is potentially aligned to Outcome 5, Output 5.4 that requires 100 technical staff trained by 2019. T Time-bound: This ensures that the objective is time-limited/time sensitive. It is important that the timeframes are in line with the broader programme and reporting requirements. Thirty five (35) technical staff from the structural engineering unit trained on climate-resilient construction by the end of 2017. – Thirty five (35)) technical staff from the structural engineering unit, local authorities, district planning units, Ministry of development Planning, and teaching staff from technical colleges and vocational training institutes trained on climate-resilient construction by the end of 2017. – Five hundred (500) households in the Khoelenya Community Council trained on the construction and maintenance of climate-smart ecosystem rehabilitation and management interventions by December 2017. – 53% of Lithepeng Community Council households have land under climate-smart LRP. – A climate-driven vulnerability assessment is completed by 2018. When setting an objective, refer back to the broader project objective, outcomes, outputs and targets set (found in ‘Reducing Vulnerability from climate change in Foothills, lower Lowlands and Senqu River Basin in Mohale’s Hoek District in Lesotho, 2015 – 2020: Integrated Project Monitoring System’). This will ensure that the options are closely aligned with existing priorities. Once the objectives have been set, options need to be identified that will outline how the objective will be met. Let’s use the example of land management as an adaptation measure to control land degradation from climate change induced risk. This is impacting on the quality of life of individuals and on agricultural yields. Introduction of land management activities in the Lithipeng, Khoelenya and Thaba Mokehele Community Council by December 2020. Training of community members in Lithipeng, Khoelenya and Thaba Mokehele Community Council on land degradation and rehabilitation methods. Supply farmers with land rehabilitation tools. Introduction of crop rotation in the Lithipeng, Khoelenya and Thaba Mokehele Community Council. Increase community awareness of different grazing methods and the identification of confined grazing areas and supply of fencing to control land degradation in the Lithipeng, Khoelenya and Thaba Mokehele Community Council. Rain-water harvesting by building community reservoirs for animal and plant production. Project selection falls into the project preparation phase of the project life cycle, and is one of the most critical decisions that will determine the success of the climate change adaptation process. Field planners, communities, policy makers, government and donors/funders need a method to help them make decisions and this is especially important when it comes to selecting the right projects to invest time and resources into. What is meant by a project selection method? What principles are used to select a method? Why is it important that we use the right method? A method is an established, agreed-upon approach or process that is followed in a particular field in order to achieve a specific end result. It is a prescribed sequence of steps that are followed to achieve a result accurately and efficiently. A project selection method is an approach or process that is followed to evaluate and select projects, in this case, climate change adaptation interventions. 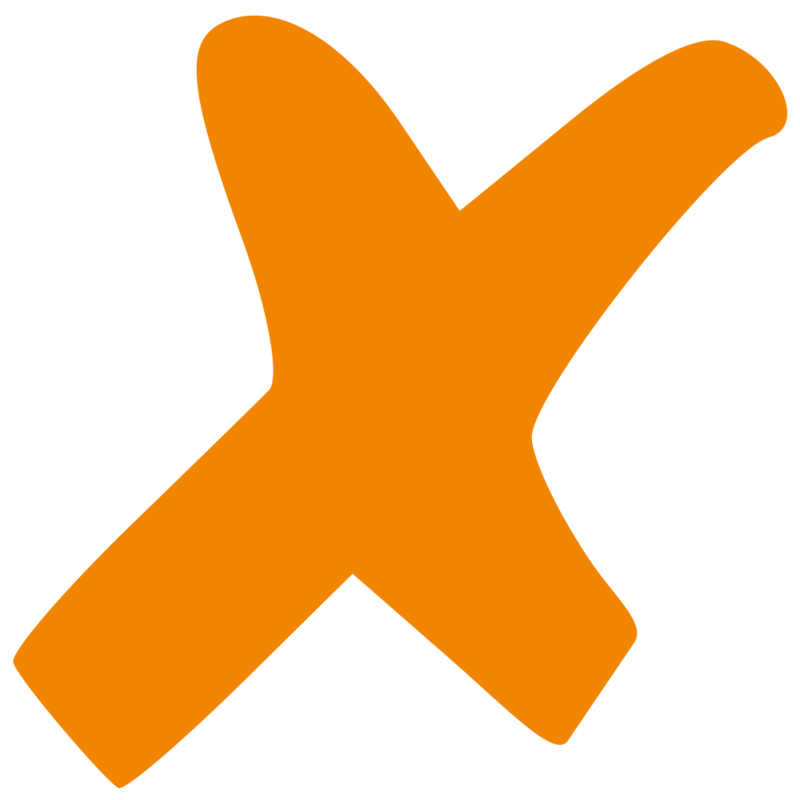 These selection methods can be non-numeric or numeric (or a combination of the two). We will look at these briefly, so you have an idea of where the selected methods, namely Cost Benefit Analysis (CBA) and Cost Effectiveness Analysis (CEA) are located. Climate-related factors or responses that cannot be easily quantified in monetary terms. Economic factors that may be difficult to quantify. Environmental, e.g. the effectiveness of an intervention where benefit cannot be given a monetary value. Social factors, e.g. improving gender equity and access to finance or psychological impact of relocation, etc. Political and institutional, e.g. is the project in line with nationally identified priorities or targets. Numeric methods typically include the allocation of a financial value or score when selecting projects. Payback period is commonly used in organisations where financial return is an important factor. It calculates how long (time period) it takes for the intervention to achieve a financial return equal to the original investment. It is usually expressed in years and months. Return on Investment (ROI) is used in organisations where profit is an important factor in decision making as it considers the project expenses, the profit (gains) and the period of time. Net Present Value (NPV) is a measure of the value or worth added by carrying out the project. Internal Rate of Return (IRR) is a measure of the value or worth added by carrying out the project, expressed as a percentage. We will look at NPV and IRR in more detail when looking at Cost Benefit Analysis in Information Sheet 2.4: Calculating and comparing costs and benefits. There are also scoring models that are numeric. Project selection methods apply a systematic, structured process to the evaluation and comparison of the viability or feasibility of interventions based on a set of criteria. 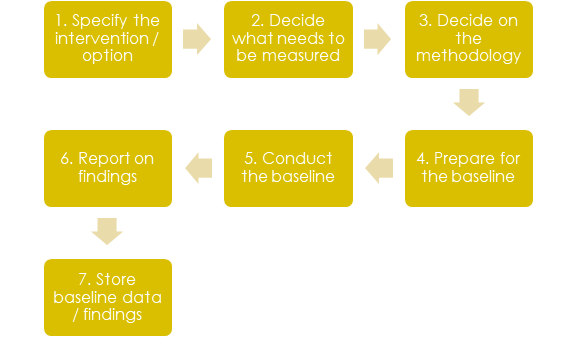 These methods are therefore ‘decision-support tools’, or methods that facilitate effective decision-making related specifically to choosing the right climate change intervention options to implement, for the right reasons. Why is it important that we use the right method/tools? Climate change interventions are pursued in order to address a need, solve a problem and sometimes, to take advantage of an opportunity. As you well know, there are many adaptation interventions that are proposed that could be pursued. However, the RVCC project is constrained by the amount of funds and resources available at any given time. An effective method for selecting interventions is needed in order to identify those that will make the best use of limited resources. In other words, the intervention needs to result in the greatest overall benefit or return on investment for communities and other stakeholders, given the limited resources available. Selecting interventions solely on ‘gut feel’ or simply going for the cheapest option will not consistently yield long-term benefits, solve the problem or address the need. Given that project resources are limited, your decisions on what interventions to implement need to be well thought out and justified. In other words, you need to be able to show that a clear, efficient and formal process of analysis and evaluation has been followed, where the options available have been carefully weighed up against each other in a fair and balanced way, and that the intervention selected best satisfies the criteria that have been established. Cost-benefit analysis and cost effectiveness analysis are 2 methods of assessing the feasibility of climate change interventions in such a systematic, consistent way. Improved decision-making: project selection methods help planners identify the most appropriate intervention/option(s). Levels the playing field: allows for a fair and objective comparison of different types of adaptation responses (based on predetermined criteria). Greater transparency and accountability: decision-makers are able to provide clear justifications for their decisions. Improved resource allocation: assists planners in prioritising and allocating scarce resources (financial, human and technological). Ensures that project selection decisions are aligned to national, local and sectoral objectives. 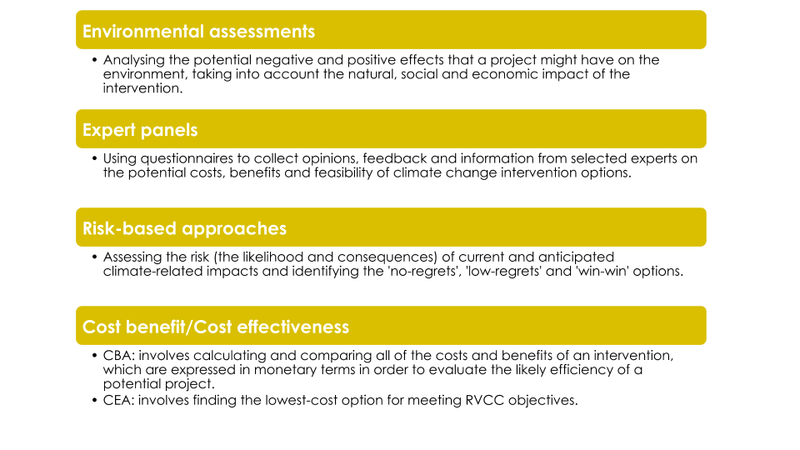 While there will always be uncertainty as to whether the interventions selected will actually deliver the desired outcomes and outputs, adopting a formal approach to project selection increases the chances of successfully meeting the RVCC project’s objectives. Practical – it must be suitable for the cultural and socio-economic context and consider what data is available, i.e. different methods require different inputs (data). Acceptable – it must be accepted by stakeholders and in line with existing decision making, i.e. the method must have the approval of the donor/funder, government, management as the policy implementers and/or community. Robust – it must allow for consistent decision making, i.e. no matter who uses the tool, the decision would be the same/similar. Comprehensive – it must allow for a range of climate change adaptation projects to be evaluated (not just one type of project/scope of work). Project planning is part of the first phase of the project lifecycle, Preparation. In this section, you will use various project tools to assist you in planning RVCC interventions. quality standards (indicators) to be met. It also provides the project manager with the opportunity to identify what could go wrong in the project and to take steps before this happens. Finally, the project manager must determine how communication will take place in the project and how this will be documented. These plans serve as benchmarks or a baseline for evaluating project progress during the implementation phase. In this module, we are going to look at developing baseline in two respects. Firstly, in this Information Sheet we will look at baselines more broadly in terms of establishing a baseline for a programme in preparation for conducting a CBA or CEA. As you will see, this involves determining the ‘current situation’ before any intervention is implemented. Then, in Information Sheet 2.4: Calculating Costs and Benefits, we will look more specifically at establishing a baseline in the CBA and CEA processes in order to compare the costs and benefits of doing nothing against the costs and benefits of implementing an intervention. Note that the data to be collected is both quantitative i.e. scientific, numbers- and fact-based (e.g. soil, rainfall, yields and numbers related to stakeholder employment) and also qualitative, e.g. what do the stakeholders wish to/ need to see? Some of this data is collected and analysed during the Vulnerability Assessment and CBA/CEA processes. Establishing the project scope This is about identifying the work that needs to be done (and the work that is excluded) to address the main issue or problem or need. In the case of the RVCC programme, there are two main components (See Reducing vulnerability from climate change in Foothills, lower Lowlands and Senqu River Basin in Mohale’s Hoek District in Lesotho, 2015-2020: 6). All related projects should fall within one of the two components. Identifying project stakeholders Stakeholders have a vested interest in the outcome of the project. This is especially important with community members and all interested/ affected parties. Taking the time to establish who has interests and influence makes communication strategies more effective. Take care not to overlook a potentially significant stakeholder. For example, donor/funding agency, specific community members (local authorities, beneficiaries, etc), implementing organisation (this could include field planners, finance, management, etc. ), vendors (e.g. consultants, suppliers of equipment, etc). Managing and communicating project scope If the expectations of stakeholders is established, and some are unrealistic or impossible within the scope and timeframe of the project, what is possible can be clarified. This helps to manage and contain stakeholder expectations, as long as the difference between desired outcomes and what is possible, is clearly articulated early on in the project. Establishing facts and challenging misconceptions The baseline needs to probe deeper than accepting assumptions about the situation and gather hard facts so that new ways of doing things can be planned. Setting up the circumstances to be able to demonstrate improvement/ change This is perhaps the most important reason for conducting a baseline as it enables the establishment of improvement targets against the starting point. 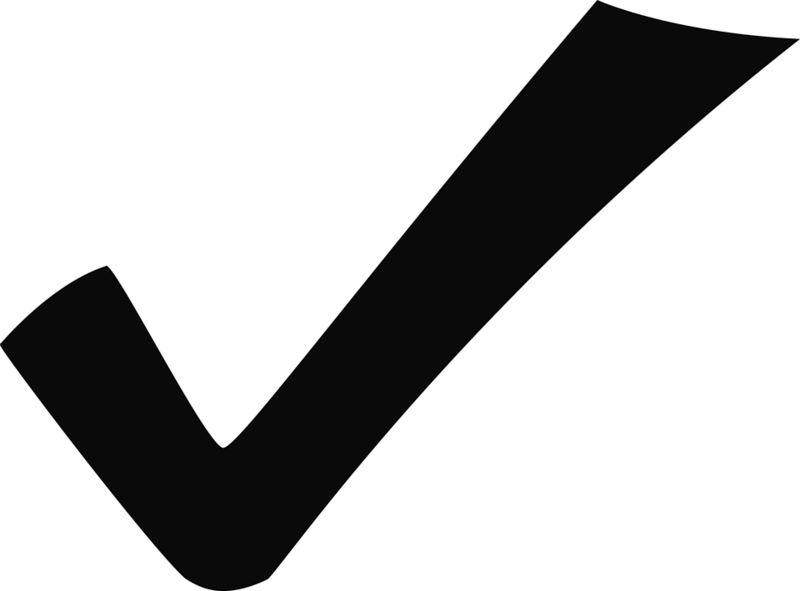 Demonstration of the achievement of targets is thus possible. What evidence is required? Refer to the RVCC M&E system for details on evidence requirements that guide what data must be gathered during implementation. How are you going to collect the necessary information? How will you present the baseline? Will you present the information in different formats to different audiences (e.g. in a meeting with community stakeholder, in a written report to funders)? Do you need to cite academic research to give credibility to the baseline? Could you use visual methods to present data, e.g. photographs, graphs? Are you going to be sure to give balanced importance to the scientific data and the human needs and interests? This document is typically signed off by the required authorities prior to implementation. Many of the planning tools discussed below, feed into this document. An important component of managing projects is to know what activities need to be completed in order to complete the scope of work / get the work done. The Work Breakdown Structure does that. Up to three levels of detail are useful. Another important component of project implementation is the scheduling and management of time. One of the key characteristics of a project (unlike operations) is that a project has a fixed duration, i.e. it has a start point and end point. A Gantt chart (named after the creator Henry Laurence Gantt) is a tool commonly used in project management to show the duration of tasks in a project, measured against real time. It is done in the form of a diagram and lists the tasks and duration. The GANTT should be broken down into detailed activities that align with the Work Breakdown Structure. WBS number: tasks in the Gantt chart should correspond with the activities listed in the Work Breakdown Structure. This ensures that the project schedule accounts for all activities that need to be done. Task title: this column is used to list the activities of the project. A more detailed Gantt chart will have detailed activities listed under each broad category. Project time: the top row of the chart shows the project time scale. Each task is represented by a bar that shows the start date, duration and end date of the activity. In the Beekeeping example above, the climate change conceptualisation activity started and ended in April 2016. Then the planning phase started in May 2016. This task was expected to take two months of the project time (May 2016-June 2016). keep track of the start and end date of the project overall. A Gantt chart is typically prepared at the start of a project. But as the project proceeds, it can be adjusted to accommodate changes in tasks or allocation of activities. It is thus an important monitoring tool for climate change project managers to keep track of shifting responsibilities and re-planning to accommodate delays or blockages. The project manager, along with the project team, need to understand that things can (and do) go wrong in projects. It is possible for them to identify and plan around this. This will allow for a smoother roll-out of projects. This does not mean that nothing will go wrong in projects, but rather that many things that can go wrong, can be avoided or managed. Risk mitigation starts with identifying risks. The next step is assessing the likelihood and impact (severity) of each of the risks that you have identified. The third step is to develop a risk mitigation plan, which is about what you plan to do in each case. Risks are uncertain events or conditions that, if they happen, will influence the project objective. This could mean the objective may not be delivered – in the required time, within the required budget and/or of the right quality. An essential task for a climate change project manager is to consider two types of risk in a project. Risks can arise from outside the project (exogenous risks). Examples of exogenous risks are political unrest and instability, or disruptions that may be caused by an election. Fluctuations of exchange rates, totally out of the control of the project manager, could have a severe impact on project finances if equipment has been ordered from overseas. Another kind of exogenous risk could be ‘acts of God’ or catastrophic and unusual weather events. 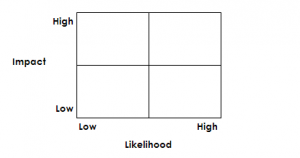 Endogenous risk arises from factors within the project. These very often have a human element, such as conflict or incapacity of team members to perform their assigned tasks. It could be about the failure of equipment, or a lack of clarity between project implementers and the community or beneficiaries. Foreseeable risk This is the type of risk that a project manager should be able to predict or foresee. Experience of working in similar projects in a similar environment or amongst a similar community should assist in understanding possible risks that could occur. An example of a foreseeable risk might be if there has historically been a high fall-out/attrition rate in interventions, the project manager should predict that this would happen in the existing project and a risk management plan should be put in place to manage this. Unforeseen risk An unforeseen risk is one that should have been predicted but was not considered. An unforeseen risk presents a grave danger to a project because contingency planning that could have mitigated the results of the risk had not been planned. An example of an unforeseen risk in a climate change project is an unplanned for or unpredicted natural disaster. Unforeseeable risk This is a catastrophic and highly unusual risk that is usually not predictable, but can happen nevertheless. Unforeseeable risks may result from a series of events that together create a catastrophe. The project manager could only really plan for this by having a disaster recovery plan. An example of an unforeseeable risk could be the sudden withdrawal of a funder from a project, perhaps because of an intergovernmental dispute. Risk assessment is a measure of the probability and consequence of not achieving a project goal. It depends on the likelihood (probability) of an event occurring and the consequences (impact) of that event occurring (EBS, 2004). Accept the risk, i.e. the risk is low likelihood or impact and so can accept it. Mitigate or manage the risk, i.e. take action or carry out certain actions so it does not come about. Transfer the risk, i.e. allow someone to take ownership of the risk (e.g. insurance). Avoid the risk, i.e. not perform a specific activity so that the project is not exposed to the risk. Different risks will be dealt with in different ways, but the key is anticipating and planning what action to take to minimise the negative impact of risks before they happen. For a risk of low likelihood and low impact – little action needs to be planned. In other words, as the climate change project manager, you might decide to simply accept that risk. An example of such a risk could be a supplier of essential equipment (in a competitive market) going out of business. A substitute supplier could then be easily sourced. Of course, if the supplier is the only supplier, that makes the risk of more severe impact. A risk mitigation strategy with suppliers is to know which suppliers provide the equipment you need so that you can easily source alternative supplies. For a risk of high likelihood but low impact – this sort of risk could be, for example, seasonal, but not torrential rains. Project activities would take account of the weather patterns and also plan for vehicles that could negotiate sand roads. A risk of low likelihood but high impact – this is potentially dangerous, and measures should be in place to identify if / when it could happen, and what to do about it. An example could be the funder terminating the project because of a dispute about project roll-out that is unresolved. The risk described would have warning signs, and the requirements of the funder would need to be attended to to prevent the termination of the contract. Another example could be the severe injury of a key project member with specialised skills on the job, thus resulting in long delays in delivery. A risk of high likelihood and high impact would require urgent and stringent action. But for a risk of high likelihood that would impact badly on project roll-out, contingency (risk mitigation) plans should be put into place from the beginning of the project. A possibility of such a risk could be the refusal of a divided and volatile community to agree on what they would prefer in terms of an intervention. Such a dispute could delay or prevent a project from happening. Then the risk mitigation plan would be a strong and carefully crafted community engagement strategy. Roberts, A., Wallace, W. & McClure, N. 2003. Strategic Risk Management. Edinburgh Business School. Edinburgh: Heriot-Watt University. Deliverables Tangible items / products that are produced by the project team in accordance with client requirements during and at the completion of the performance of the project. Equity In the M&E framework, this refers to gender equity or the availability of opportunities. 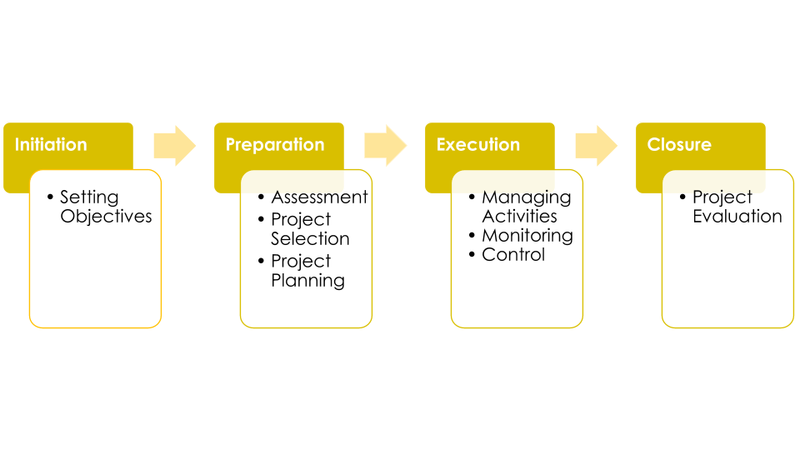 PERT Programme Evaluation and Review Technique (PERT) is a planning tool that uses probability to estimate the amount of time a task should take. In contrast to PERT, the Critical Path Method (CPM) is a deterministic approach, when the time for task completion can be fairly accurately determined. Risk assessment This is the process of evaluating the quantitative and/or qualitative value of risk related to a concrete hazard. Work Breakdown Structure (WBS) A WBS sets out the project tasks into work packages that require different resourcing.